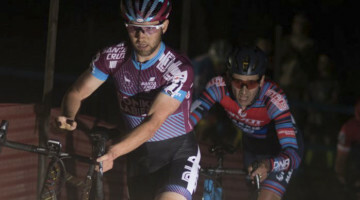 For the second time, and the twelfth in our series of rider diary entires from the USA Cycling Cyclocross Development Camp, we hear from Tobin Oltenblad. 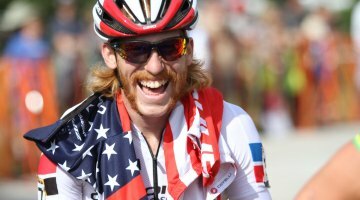 Ortenblad last told us about his race at Namur and his thoughts on how the racing and course are exactly what cyclocross should be. Here he details the opening seconds of Zolder. Everybody sits in silence. One by one we’re called into the grid. A man with a thick accent calls my name and I roll forward. My tires are measured and my bib number is checked. Now I take my final spot on the grid. Three minutes calls an official which really sounds more like, “twee mee-noot!” Warmup pants are unzipped and the smell of spicy embrocation fills the air. Legs shake and tension rises. Two minutes to go. I pull off my jacket. I look at my cassette and put the bike into the perfect start gear, three down from the top. I clip my right foot in and place it forward. Thirty seconds is called, everything is quiet. Legs quiver feet and feet twitch. We stare into the red start lights. I don’t jump when the light turns green, I jump when I see the red disappear milliseconds before the green flickers on. Chaos ensues. Four hundred meters of full sprint elbow to elbow, bar to bar at 35 mile per hour. I push through small holes trying to get an extra position, any advance at all. Riders yell and swerve, I protect my front wheel but at the same time am pushing just as hard as everybody else as I drop my chain down my cassette into the eleven tooth cog. Disc brakes scream and the smell of brake pads fill the air as we come into the first slippery right hander of the course. Amongst all the braking is the sound of clicking from shifters getting the chain in the perfect launch gear for the turn’s exit. The first turn. Where nobody has ever won the bike race but, plenty have lost it. 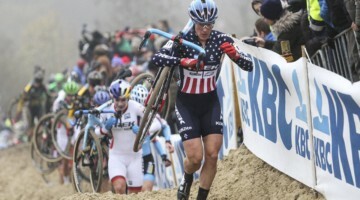 This theme is often forgot in the U23 races as I watch some Dutch kid eject himself over the bars. 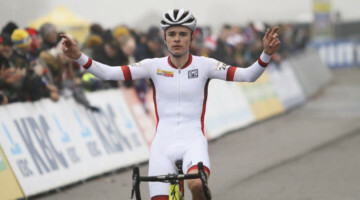 Pretty standard affair in all U23 races really. I get through clean, but further back than I’d ideally like to be. Good thing I have fifty more minutes to fix the problem. 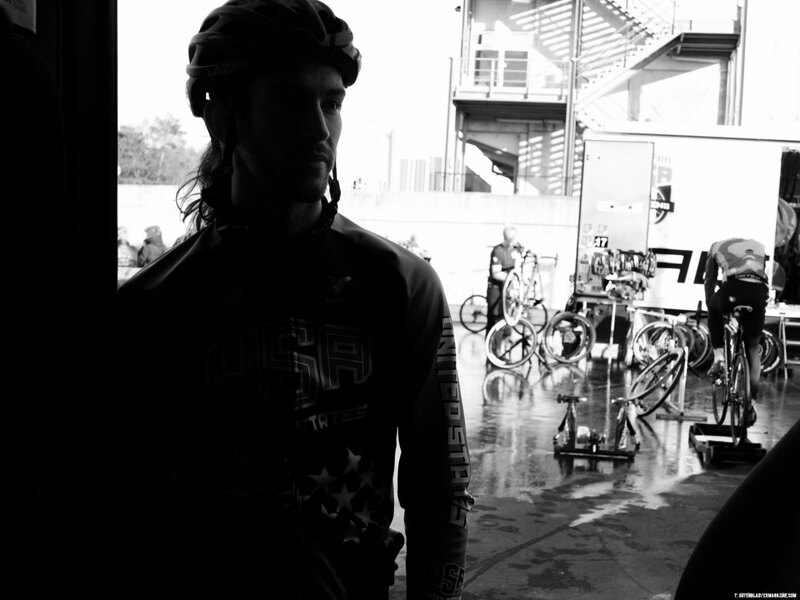 Catch up on all the rider diaries from Cyclocross Development Camp here.